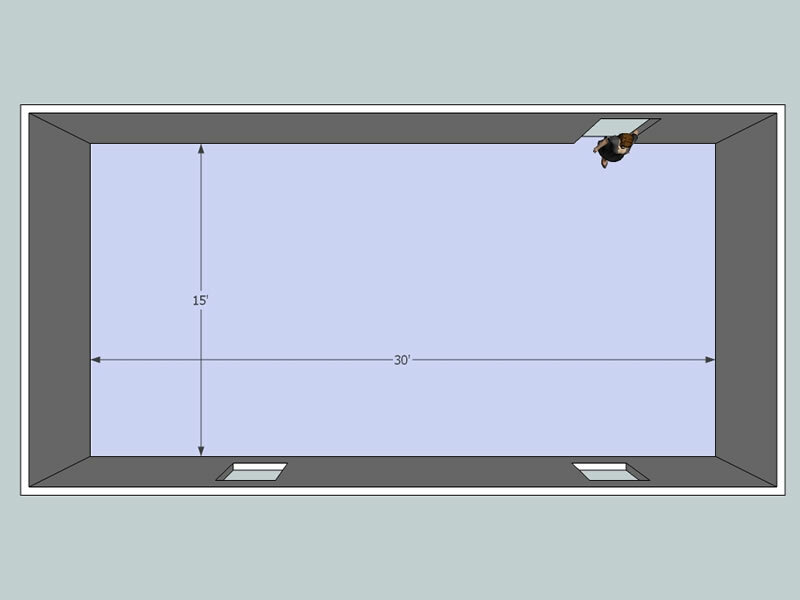 If you are someone who has tried to rent office space and felt the need to convince your prospective office tenant that the space is large enough for a certain number of people and/or equipment, a 3d floor plan could be a HUGE help to convey your message. 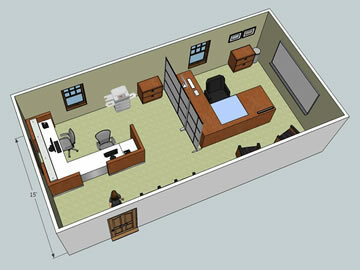 WNY Office Space is now offering a 3d office floor plan service. We utilize a 3 step process that makes it as easy as sketching a rough drawing and submitting to us. We start with a sketch. For most, the design of a 3d office involves measurement and detailed drawings. 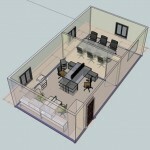 Not the case for our 3d office design service. Of course accurate measurements would be terrific and if you don’t have those, any marketing should disclose that measurements are not completely accurate, but our idea is that the exact numbers should not hold you up from an effective marketing tool. When you see a space, you might not have an understanding of what can actually fit in that office. 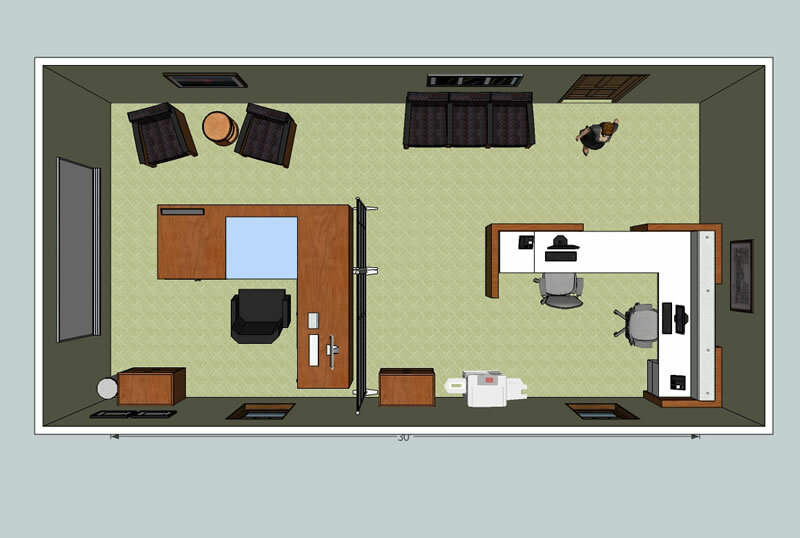 Most are surprised to find that a 10 x 15 office is plenty of space for 2 workers. When you see the space in a picture (without furniture) that can be hard to believe. 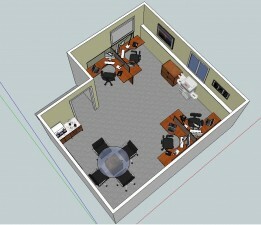 A 3d layout cuts through someone’s ability to visualize the space with functional office furniture. 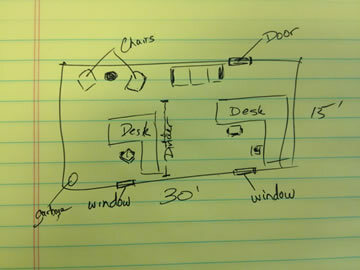 Take a look at the sketch below. 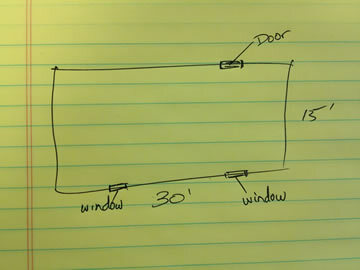 We take this crude sketch from paper to a working 3d model in short order. 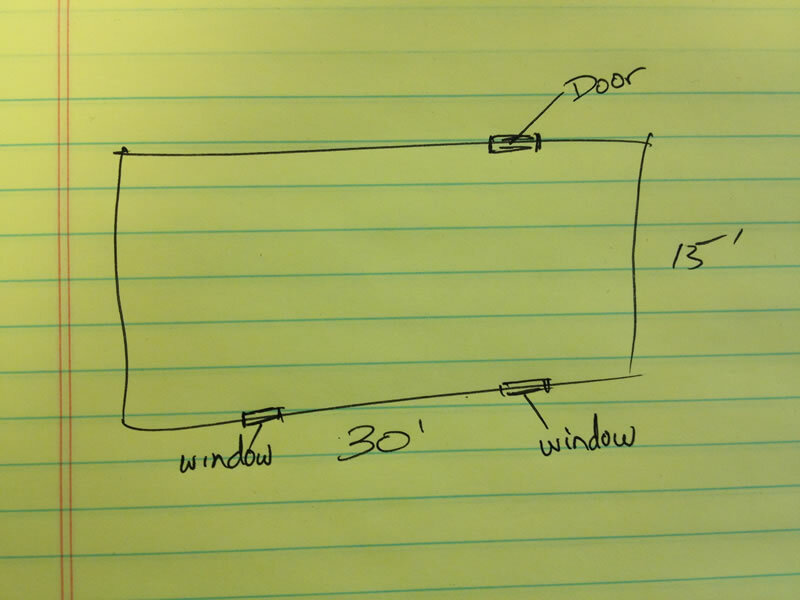 Sketch 1: A sketch of a floor plan with rough dimension and placement of doors and windows. As you can see, the above drawings are about as low tech as things get. 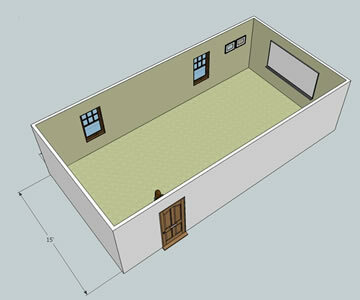 A simple drawing on a sheet of paper is all that is needed to create the 3d office layout that you see below. In fact, we make it simple to transfer that drawing to us. Take a picture with your phone and text, e-mail, or fax to us to get started. 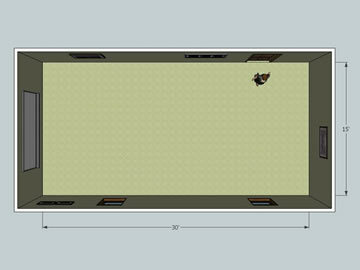 Pic 1: Our initial layout is clean and simple. We can provide 2d imagery from virtually any angle or perspective that you desire. Pic 2: If you provide us with accurate measurements, we can include those in the layout. This will allow your prospective tenant the ability to floor plan their own space. 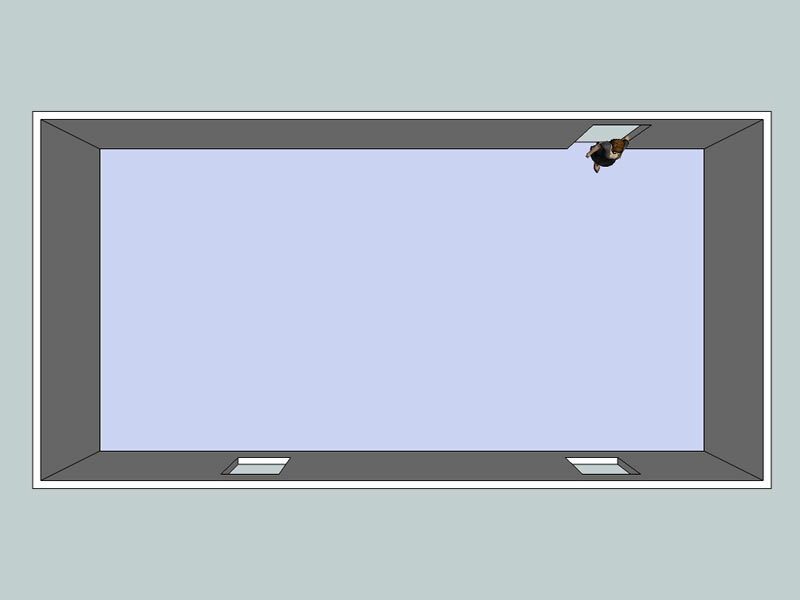 Pic 3: Finishes are added to the 3d layout. There is nothing like adding true finishes to an office layout. Capturing the carpet, wall color, and door/trim finishes will allow your prospective tenant to see themselves in the space. The perspective provided in this view simply cannot be captured in a photo, regardless of the lens used. Pic 4: A perspective that provides a wide view of the space and allows your prospective tenant to view the whole picture. Keep in mind, you can request any perspective you choose. Some will feature elements in the space such as windows or existing furnishings. If your office comes furnished, we are able to closely match the existing furniture style. If it is not furnished, we select scaled pieces that make effective use of the space. This has proven to be the most effective marketing tool used for our own space. 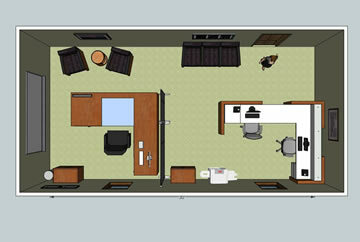 This allows those who might have some difficulty visualizing an office to see the full potential. Perhaps you have a 1 person office who meets with clients. 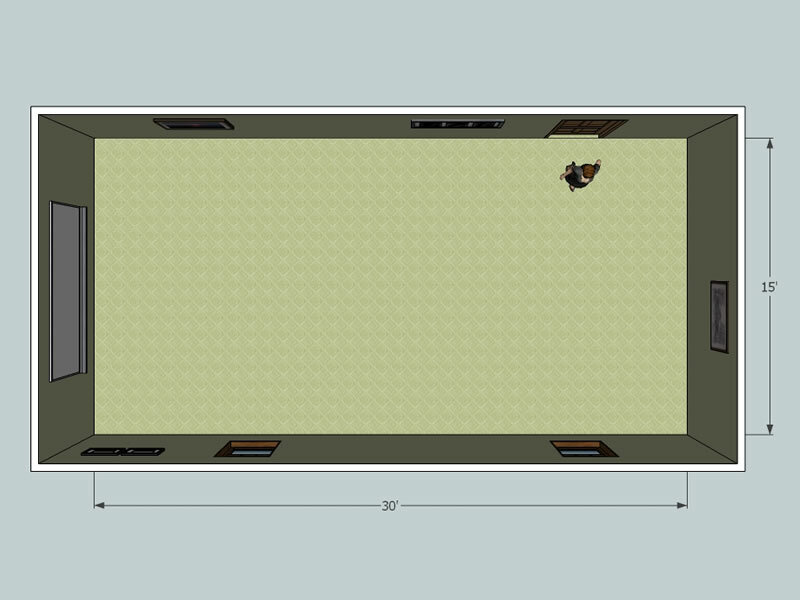 In that case, we will render this with a workstation and conference / meeting area. There is no limit to what can be pictured. If you have a prospect that you want to market to directly, or simply impress, you can market directly to them by utilizing their colors, logos, and overall feel. Pic 5: A furnished space. Colors and finishes are virtually unlimited. Custom finishes can be created from photos. Pic 6: Another perspective of the furnished space. 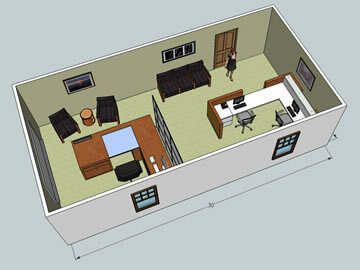 Pic 7: Stepping back, and showing a full view is often the best way to make a small office feel larger.